How to eat (and prepare) the healthy global herb. Parsley is one of the best-known herbs all over the globe, and it's not only used as a colorful garnish. 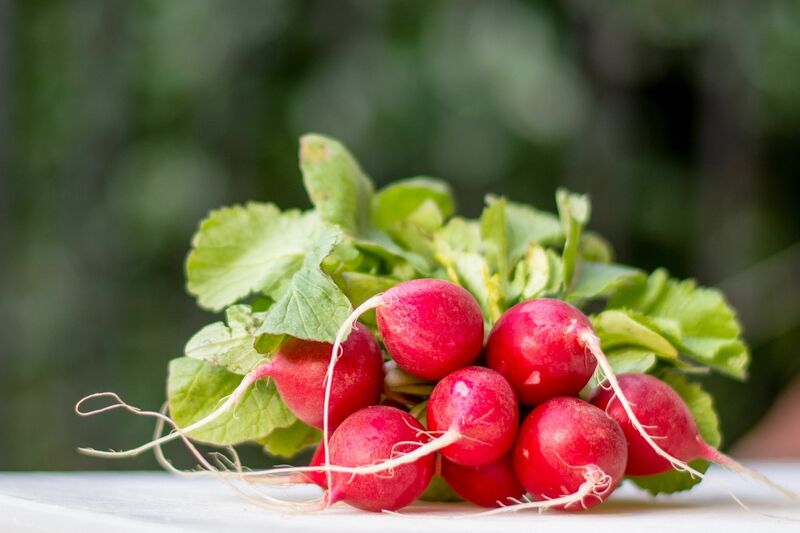 This herb is native to the Mediterranean region of Southern Europe, and a great source of Vitamins A, C and K, iron, copper, calcium, riboflavin and niacin. Parsley can survive a range of weather conditions and grows most of the year in Houston—no surprise given the herb's 2,000-year history. Parsley has been used as both a seasoning and a medicinal plant for centuries. Just look up its uses. Apparently, there's little it can't cure—including bad breath. Naturopaths recommend chewing it to freshen up, even after a garlicky meal. In fact, that's the reason it's traditionally used to garnish dinner plates. There are two main types of parsley—curly and flat. 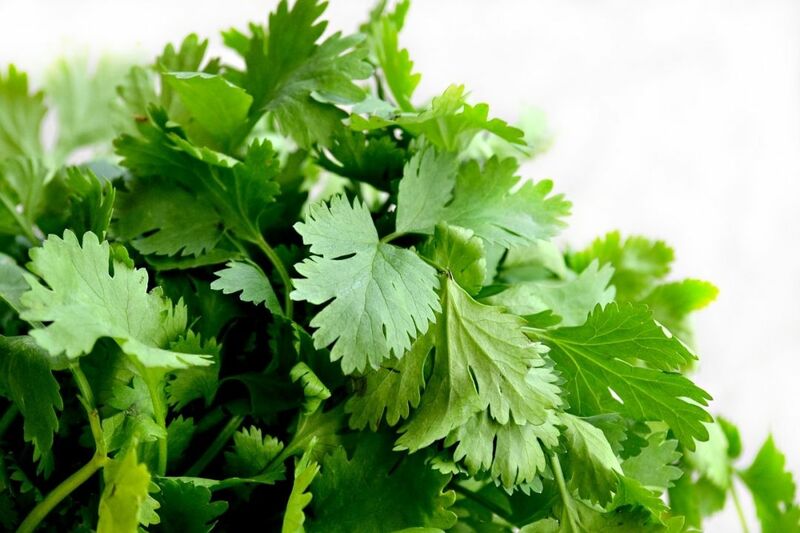 The flat leaf kind is also known as Italian parsley and has a stronger taste. Curly parsley is often grown as an ornamental shrub, but is just as edible as flat-leaf. The word parsley comes from a Greek word meaning 'rock celery' because parsley is related to celery and the ancients adorned graves with the herb. Fresh parsley is available from pretty much any grocery store, as is the dried version. Choose fresh parsley if possible since the flavor is much better than the dried kind. 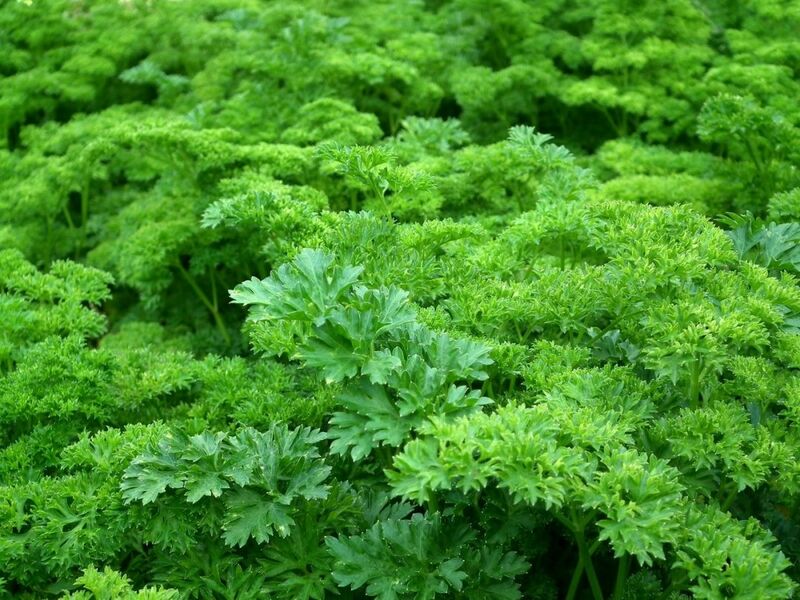 Opt for deep green parsley which looks crisp and fresh and avoid yellowing bunches which are likely damaged or old. Store fresh parsley in a plastic bag in the refrigerator. 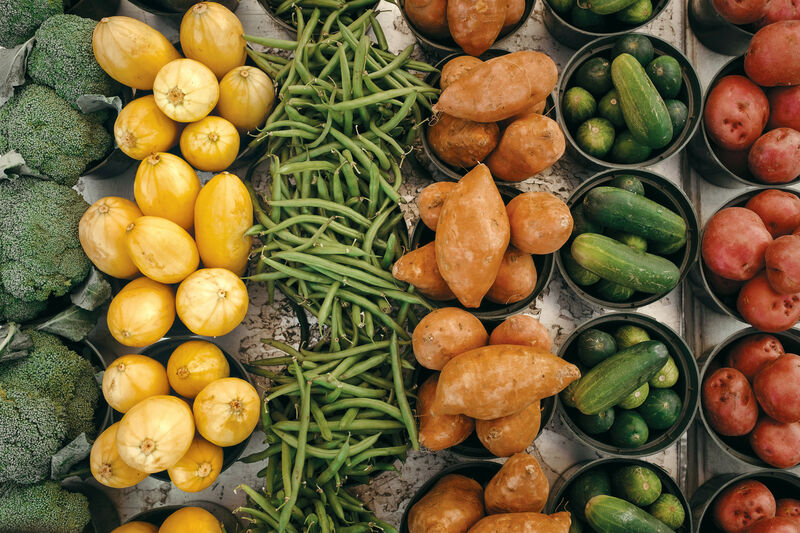 If it's a bit wilted, sprinkle some water over it or rinse, then shake until it's almost dry before refrigerating. Have more fresh parsley than you can use? If so, layer it on a clean cloth and let it dry, then keep it in a tightly sealed container in a cool, dark place. Freeze curly leaf parsley rather than drying it, for the best flavor, since it won't stay crisp if it is dried. Because parsley is delicate it's best to rinse it just before using. Just put it in cold water and swish it around so any dirt or sand can come off. Add fresh parsley to a dish just before the end of cooking so the flavor stays bold. If you are making a light-colored sauce, it's best to use the stems instead of the leaves so the sauce gets the parsley flavor without too much of the green color. Add parsley to tomato sauces or soups, or mix it with couscous, mint, lemon, olive oil and chopped green onions to make tabbouleh. You can swap the couscous for bulgur wheat if you want. It is also delicious paired with lemon zest and garlic and rubbed over lamb, beef or chicken before cooking. Toss parsley leaves with cherry tomatoes, orange, fennel and pumpkin seeds to make a healthy salad, or sprinkle it over sautéed vegetables, grilled fish or seafood, or salads to add a fresh flavor. 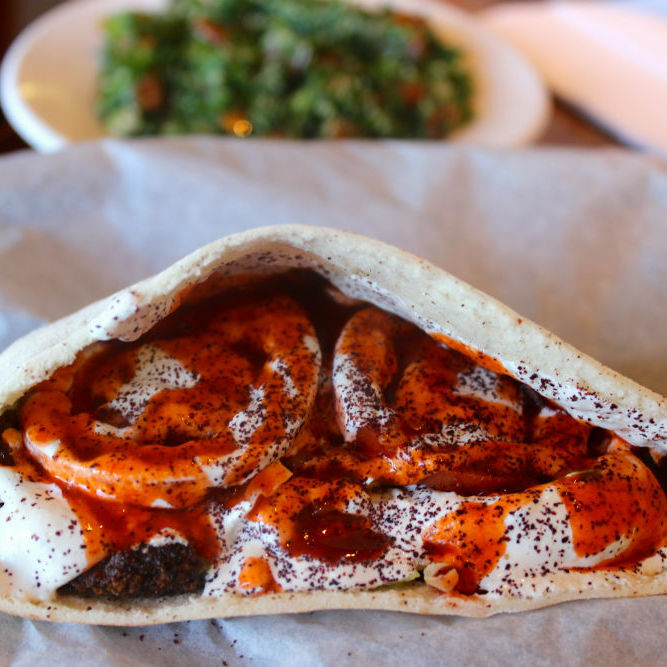 If you enjoy fresh fare, you might like to sample the classic Middle Eastern flavors Zabak's delivers. Parsley features in the falafel—the little vegetarian chickpea patties are gorgeous served with pita bread and crisp salad. Parsley plays a starring role in the tabbouleh salad, which also includes onion, tomato, cracked wheat, oil and lemon. Zabak's is a casual eatery and it's a great venue for lunch. You can't go wrong with the gyros here either. Use this sauce as a marinade or serve it with steaks—or practically anything else, including fish or chicken. With bold, vibrant South American flavors, chimichurri is easy to make and fresh parsley is one of the main ingredients. If you don't have oregano, you can leave it out. The following recipe makes enough for six steaks. We are using half the sauce as a marinade and saving the other half to serve drizzled over the finished, cooked steaks. Chop the parsley in a food processor, then add the rest of the ingredients and mix again. Use half the chimichurri to marinate your steaks for at least 30 minutes at room temperature, then serve the other half at the table with the cooked steaks, either drizzled over them or presented on the side. $ Mediterranean, Middle Eastern 5901-G Westheimer Rd.